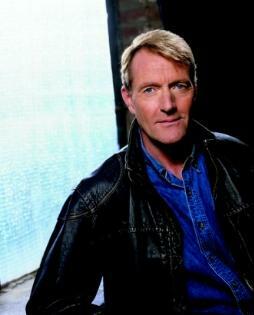 Lee Child was born October 29th, 1954 in Coventry, England, but spent his formative years in the nearby city of Birmingham. By coincidence he won a scholarship to the same high school that JRR Tolkien had attended. He went to law school in Sheffield, England, and after part-time work in the theater he joined Granada Television in Manchester for what turned out to be an eighteen-year career as a presentation director during British TV's "golden age. " During his tenure his company made Brideshead Revisited, The Jewel in the Crown, Prime Suspect, and Cracker. But he was fired in 1995 at the age of 40 as a result of corporate restructuring. Always a voracious reader, he decided to see an opportunity where others might have seen a crisis and bought six dollars' worth of paper and pencils and sat down to write a book, Killing Floor, the first in the Jack Reacher series. was an immediate success and launched the series which has grown in sales and impact with every new installment. The first Jack Reacher movie, based on the novel and starring Tom Cruise and Rosamund Pike, was released in December 2012. Lee has three homes - an apartment in Manhattan, a country house in the south of France, and whatever airplane cabin he happens to be in while traveling between the two. In the US he drives a supercharged Jaguar, which was built in Jaguar's Browns Lane plant, thirty yards from the hospital in which he was born. Lee spends his spare time reading, listening to music, and watching the Yankees, Aston Villa, or Marseilles soccer. He is married with a grown-up daughter. He is tall and slim, despite an appalling diet and a refusal to exercise.